The 23-years old gymnast announced the end of his career on Instagram two weeks ago. National champion in 2014, he was also part of the National team. Let's have a look back on Thomas's career! Thomas Neuteleers (Olympia Houthalen) started gymnastics at age 6. He quickly climbed the levels and had a great career among the Junior ranks. He competed at the European Youth Olympic Festival in Tampere (Finland) in 2009 where he won a silver medal on parallel bars. Earlier in the same year, he became the Junior Belgian all-around champion. He also won several medals at international meets. 2010 was a key moment in Thomas's career. As a Junior, he travelled to Birmingham for the European Junior Championships where he had great results: 6th in the all-around, 6th with the team and 5th in the floor exercise final. 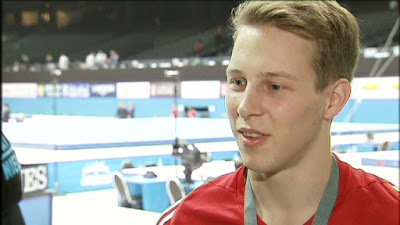 After Birmingham, Neuteleers represented Belgium at the first edition of the Youth Olympic Games in Singapore where he qualified for three finals (all-around, parallel bars and floor exercise). The same year, he moved on to the Seniors ranks and made the World Championships team. In Rotterdam, the team placed 28th. 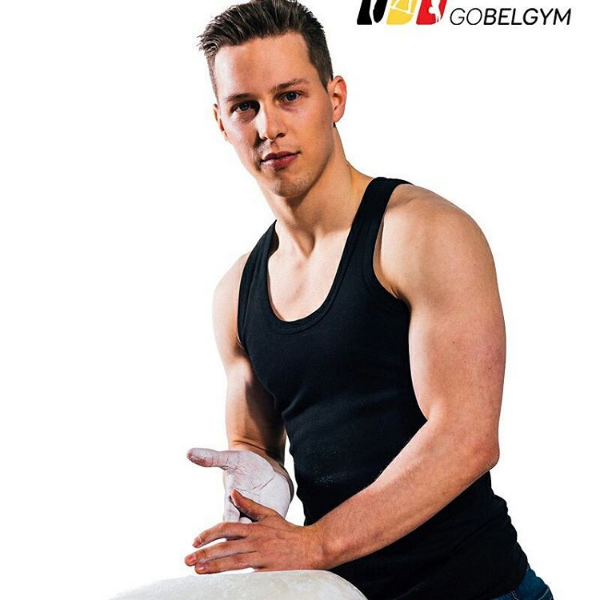 Between 2011 and 2014, he regularly made the national team and represent Belgium at Worlds and European Championships. He was in the team that placed 19th at Worlds in Nanning, the best finish for a Men's belgian team at that time (a record that would eventally be beaten the next year in Glasgow). In 2014, he also became National champion. In 2015, a shouder injury kept him out from competing at national meets. He was in contention for a spot on the Worlds team in Glasgow and competed at a selection test against teams from the Netherlands and Italy. He then had to undergo surgery on his foot. In January of this year, the chase of a team ticket for the Olympics continued, after Belarus withdrew from the Test Event. Thomas was obviously in contention. He was part of the selection process, until a tear ligament in his shoulder forced him to withdraw from the competition. Back to training, he announced his retirement in last November, after 6 years among the Seniors and 17 years in the sport. Thank you Thomas for what you did for the sport and for Team Belgium! We wish you the best of luck for what comes next! Grisot Finanțe Oferta de împrumut între special de la international Foarte grave și foarte rapid această organizație Are un capital care va fi folosit pentru a acorda împrumuturi între persoane fizice pe termen scurt și pe termen lung de la 1000€ la 5.000.000€ pentru toate persoanele serioase fiind în nevoile reale, rata dobânzii este de 2% pe orice termen de plata .Aceasta acordă împrumuturi Financiare în toate domeniile de mai jos: imobiliare Împrumut , Împrumut de investiții, Credit auto , Credit de nevoi personale . Ne sunt disponibile pentru a satisface cerințele clienților noștri într-o perioadă de maximum 72 de ore de la primirea de formularul de cerere.